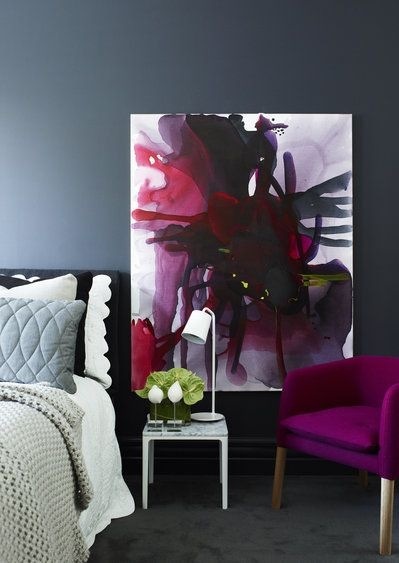 For most of us, painting walls in a dark hue is a big step. We prefer white walls and the lightness that comes from bright and open spaces. And it’s easy to see why. White walls create a feeling of spaciousness and work in just about every scheme. They also provide a good backdrop for art and accessories. But I’m going to let you in on a secret. I love a dark wall. Here’s why, and how you can pull it off successfully in your space. One of the most popular influences on Australian interiors over the last decade or so has been Scandi design. 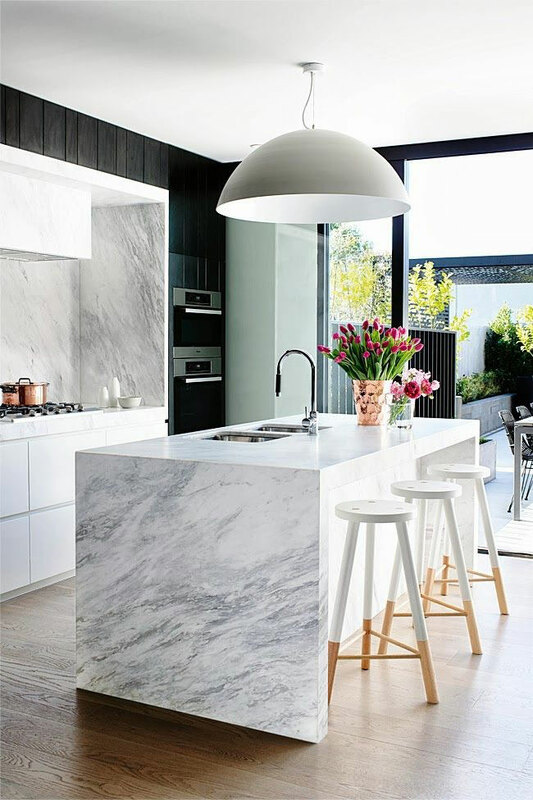 Australians have embraced Scandi style and all that comes with it – white walls, pale timber floors, white washes, pared back furnishings and light, airy interiors. It fits the brief for fresh, breezy living. But there’s a reason for all this lightness in the Scandi aesthetic. Scandinavians endure some of the harshest winters in the world. Their winters are long, dark and dreary. Daylight is very short in winter and, in some parts, the sun doesn’t make it over the horizon at all! Hard to imagine isn’t it? So it’s no wonder they adapted their homes to suit this environment, creating light, bright, airy interiors to counter the darkness outside. In Australia, we have the opposite experience. Most of us live in regions where the summers are harsh and bright and the winters short and often sunny. Ever got off the plane from being overseas and been dazzled by the rays? Our light is different. It’s bright and it’s white. For this reason, our interiors can take on much deeper hues. They can handle a dark wall. White is good, but our climate means we don’t always have to go for an all white look. We usually think the opposite – that white enlarges a space and dark encloses it. But it’s not always the case. 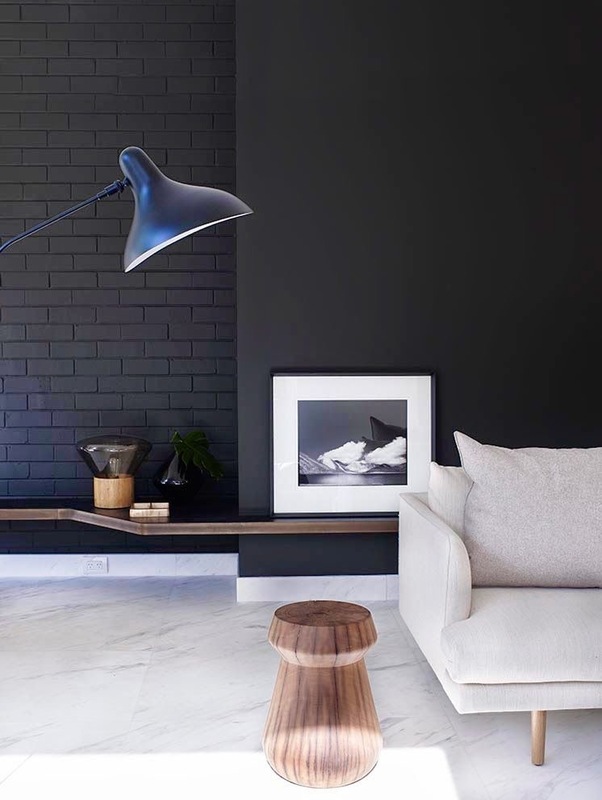 Dark colours can make a space seem larger by defining boundaries and highlighting the height of walls. Dark walls work particularly well with high, white ceilings and crisp white architraves. 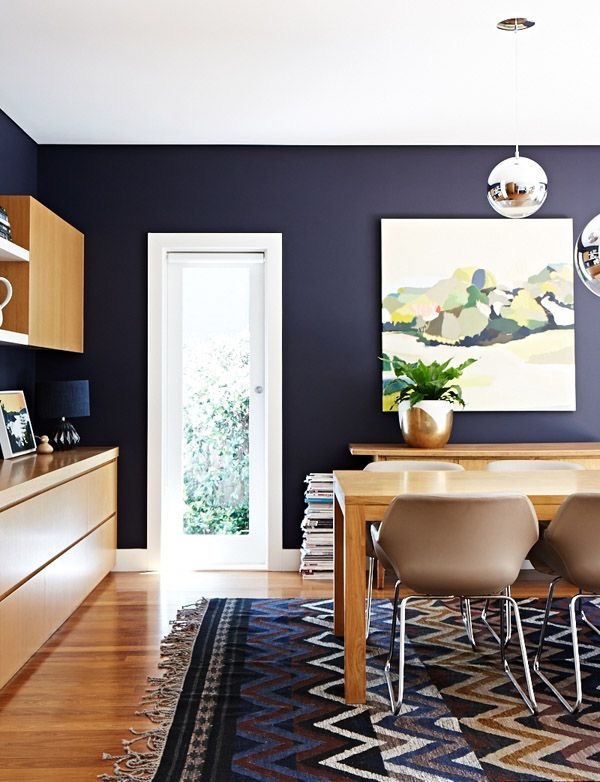 Deep Airforce blue walls add scale and drama to high ceilings in The Avenue by Arent & Pyke. Photography Anson Smart. I love the drama of a dark wall. A deep hue creates mood and energy in a space and brings furnishings to life. 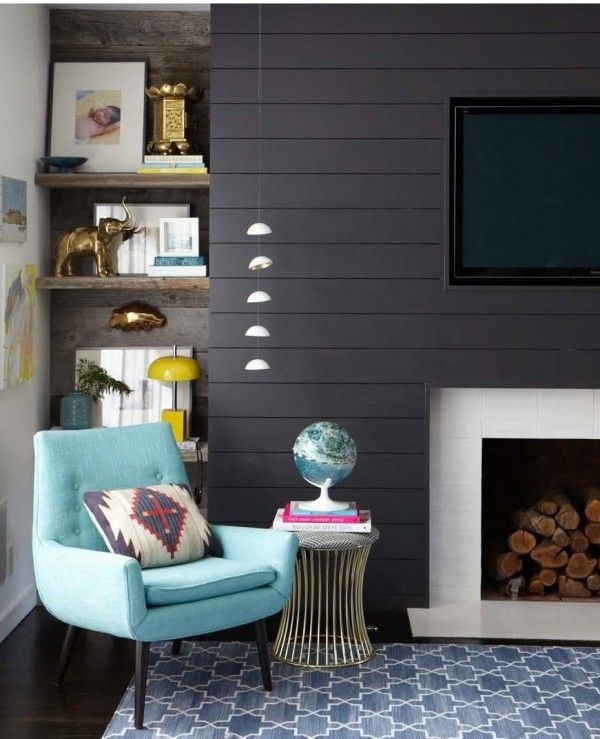 Contrast your dark walls with colour, texture, metallics and timbers to ensure the space does not feel too enclosed. Dark walls are particularly effective in cosy spaces such as a formal dining area, study or bedroom. 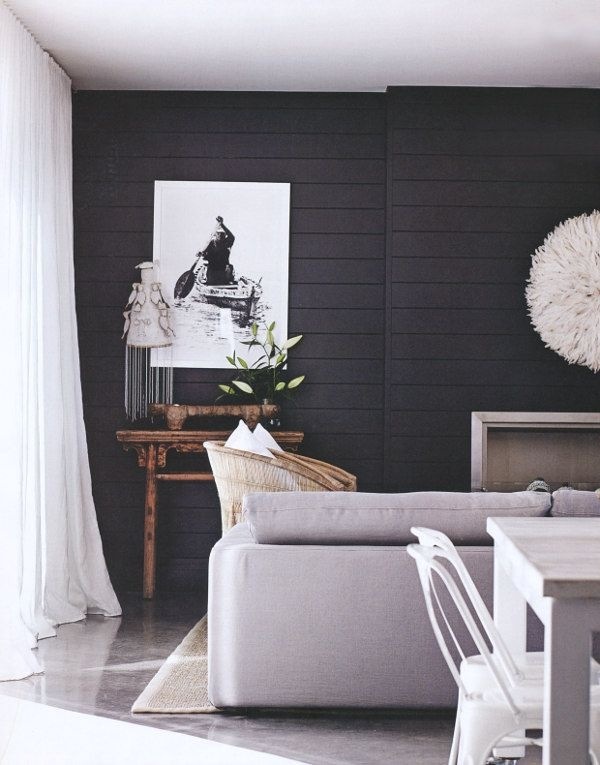 A dark wall paired with white contrasts creates a striking and sophisticated look. Here, the dark panelled wall, painted in Porter’s Paints Van Helsing, helps define the living area and provides a stylish contrast to the white wall art and neutral furnishings. White makes bright colours “pop”, while black makes colours more vivid and luminous. 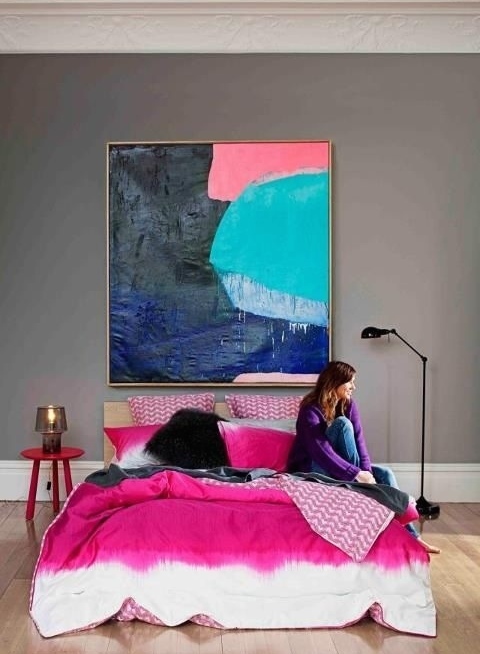 I love the effect of dark walls on art work and colourful accessories. Look how beautifully this piece of art contrasts with the dark wall. Dynamic, sophisticated, energising. It just wouldn’t look the same on a white wall. Bedroom by Mim Design. 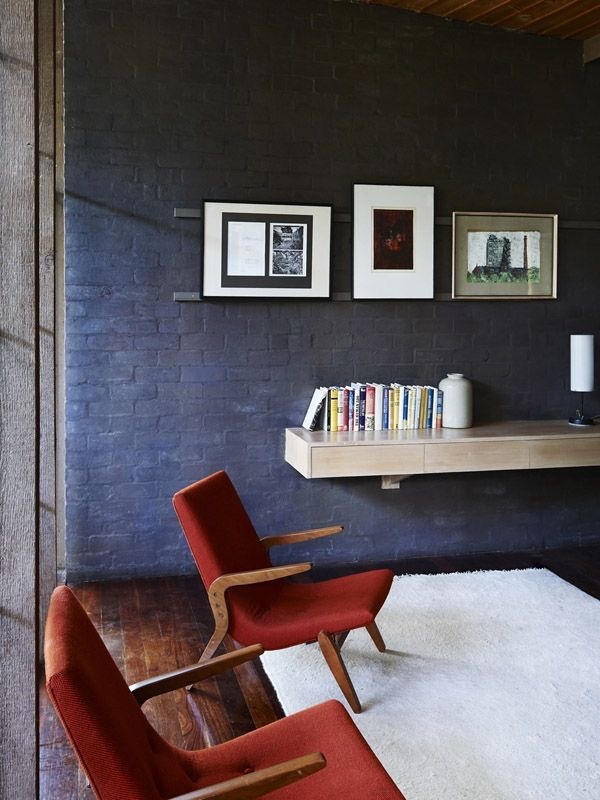 Photography Derek Swalwell. Accessories and flowers are vibrant against dark walls. My picks for a dark wall include Porter’s Paints White Rhino, Half Lead or Shell Grey, Dulux Domino and British Paints Costa Rica Blue. The blue/grey/petrol hues in these shades have a certain Dutch-Baroque quality to them that I particularly love. Check them out. Have I convinced you? Go on, give it a try. Winter is the perfect time to try a new hue. And if you don’t like it, you can always go back to your favourite white next season. Jane Ledger Interiors. Love the space you’re in. I love this post! 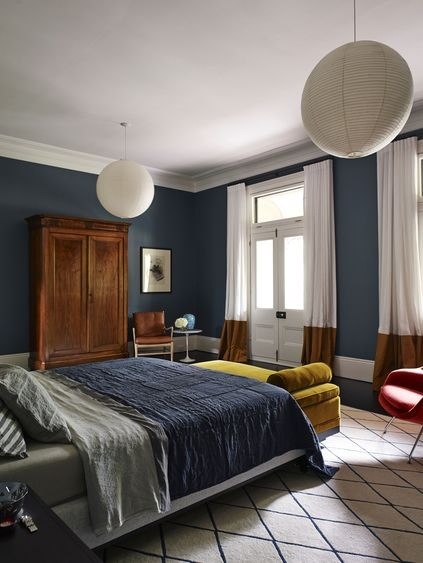 I’m so tempted to give a dark petrol grey wall a go in my bedroom! !